Art, Culture, and Entertainment, Inc. Invites Tourists to "Vacation Artfully"
Pensacola, Fla., was the first settlement in the United States and today the city’s downtown is rich in history. Visitors can enjoy the robust variety of exploring the storied past while drinking in a multitude of fine arts performances and exhibits. The Pensacola Opera, Ballet Pensacola, Pensacola Symphony Orchestra, the historic Saenger Theatre and the accredited Pensacola Museum of Art all offer year-round schedules and programming. With Pensacola’s mild weather, the city is poised to become a perfect destination to Vacation Artfully. Pensacola, known as the “Festival City of the South,” celebrates a festival each month, but is especially known for the annual Foo Foo Fest, a 12-day celebration of unique artistic shows and cultural, creative happenings. The popular event takes place each November and features naval air shows, ballets, operas, culinary events, songwriter showcases, concerts and a multitude of extraordinary cultural offerings to fit any taste. In addition to the arts, downtown Pensacola offers historic walking tours, a large farmer’s market, quaint shops, food trucks, brewery tours and daily running clubs. In the evenings, tourists can enjoy a sophisticated cultural arts experience. From the inspiration of dance to compelling visual arts to the philharmonic strains of a symphonic orchestra, all events are staged in the backdrop of relaxed elegance unique to a city on the coast. Tourists on holiday can stroll along the bay, experience the culinary arts scene and take in historic sites while simultaneously enjoying the beauty and creativity of fine arts along the coast. Click here to download electronic PDF of this Press Release. 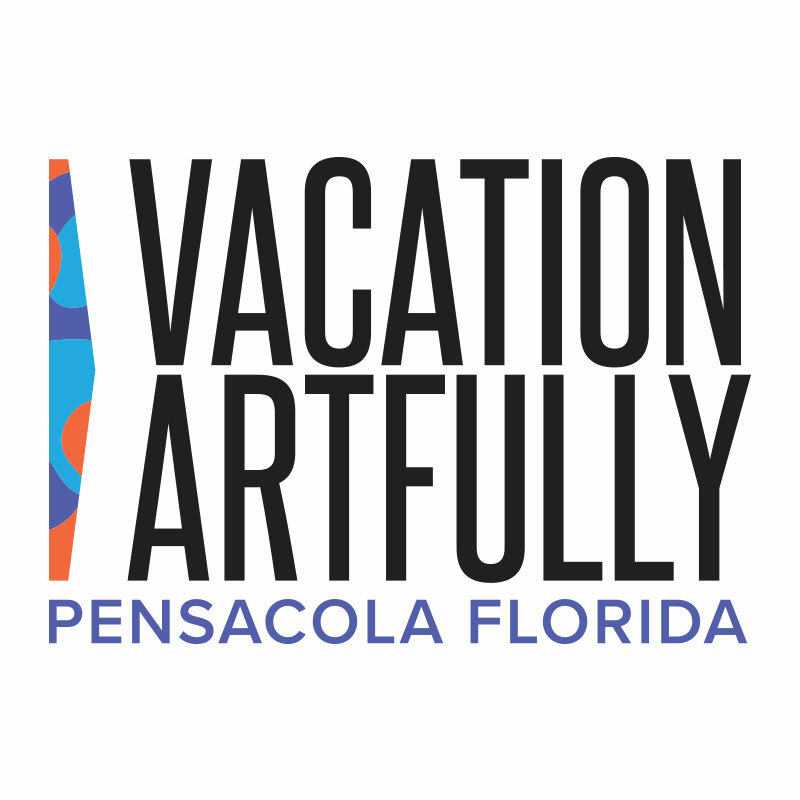 Vacation Artfully is a national tourism campaign sponsored by the nonprofit organization Art, Culture, and Entertainment, Inc. (ACE), to highlight Pensacola, Fla., as one of the premier arts and culture coastal communities in the United States. Pensacola is the “Festival City of the South” and home to the Pensacola Opera, Ballet Pensacola, Pensacola Symphony Orchestra, Live Theatre and the accredited Pensacola Museum of Art. Visitors can experience a unique, diverse cultural experience year-round all within Pensacola’s historic downtown district. A thriving culinary scene, coupled with one of the most impressive art calendars in the country, have crowned Pensacola as the top cultural coastal destination in the South. For more information, visit: www.vacationartfully.com.